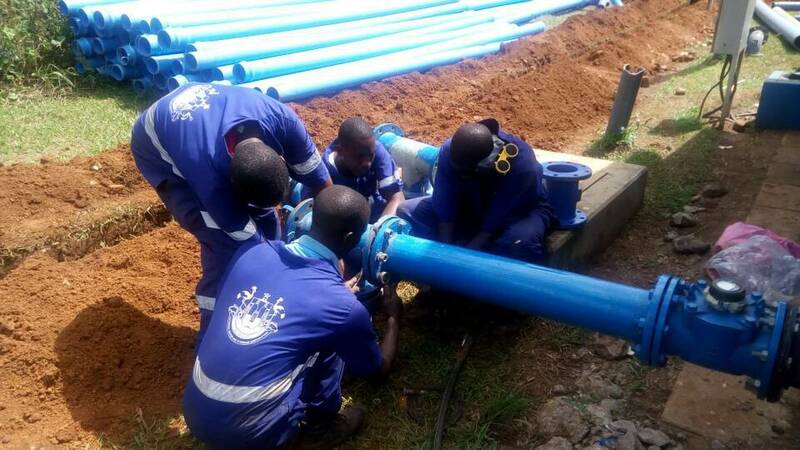 KAMPALA – The National Water and Sewerage Corporation (NWSC) has received a boost from the Government of Uganda to improve service delivery in Kampala, Mbarara, Masaka, Isingiro and the surrounding districts. Speaking at the signing ceremony of two financing agreements worth 270 million euros between the Government of Uganda and Agence Francaise de Development- AFD in Kampala on Thursday, Finance minister Matia Kasaija expressed gratitude for the continued bilateral cooperation between the French Development Agency and the Government of Uganda. “Funding towards the improvement of access to safe clean water in the greater Kampala Metropolitan area and other towns in Uganda is timely and will accelerate the Government’s efforts towards its goal of safe clean water for all my 2040,” he said. Ms Stephanie Rovoal, Ambassador of France, reiterated her government’s commitment towards the improvement of infrastructure to achieve clean safe water and sanitation for all. 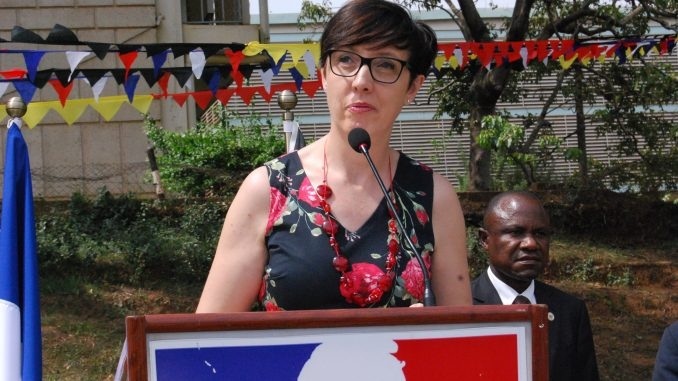 AFD country representative Virgine Leroy cautioned the people of Uganda to be mindful of the environment and avoid pollution, improper disposal of waste and plastics. She added that protection of the environment and access to clean safe water plus sanitation will lead to economic development and greatly improve the livelihoods of the people of Uganda. 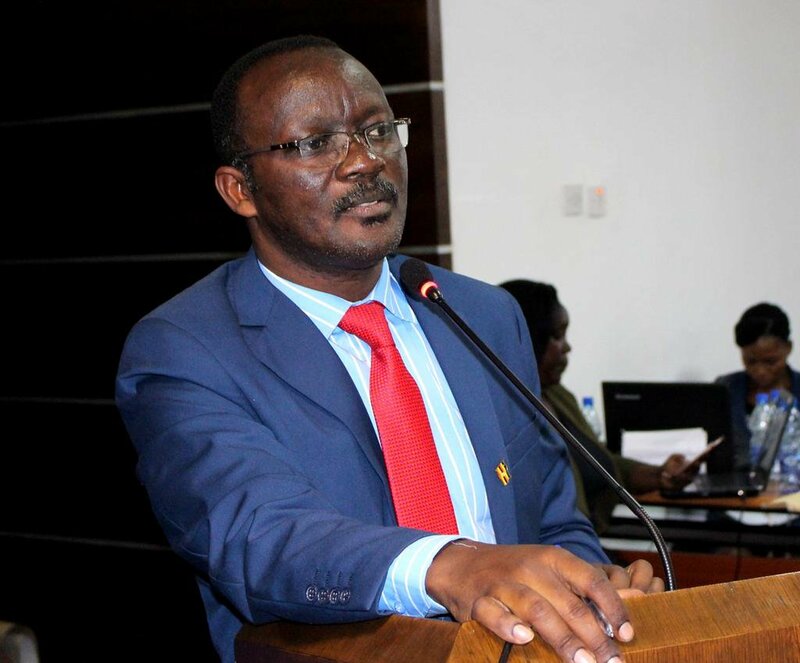 NWSC MD Dr Eng Silver Mugisha appreciated the Government of Uganda through the Ministry of Finance, and the Ministry of Water and Environment for securing the funding. Dr. Silver said that the current demand for water in Kampala is about 300 million litres of water/day whilst the current production at Ggaba water works is about 240million litres of water/day. According to Dr. Silver, the funding will enable the corporation to deliver more 160million litres of water per day through the construction of Katosi water works to bridge the supply gap. “In 2-3 years we shall be producing over 400million litres of water and meet the demand for services in Kampala. By 2032, with support from the Danish Business Finance, we shall produce more than 500million litres of water per day to meet the service delivery demand moving targets. Dr. Silver explained that the Nakivubo channel is one of the biggest polluters of Lake Victoria. 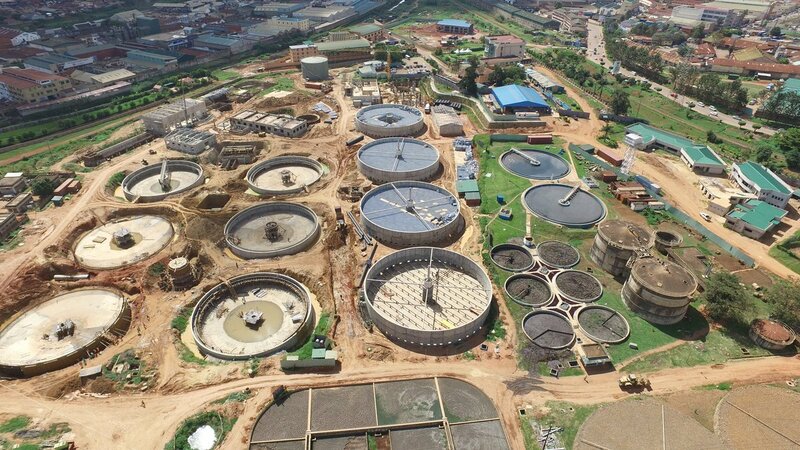 “The new Nakivubo Sewage treatment plant, the largest in East and Central Africa will treat wastewater from the heavily polluted Nakivubo channel before releasing it into Lake Victoria. This will help reduce the pollution of the lake. He further urged the people of Uganda to protect the environment, restore swamps and plant trees to mitigate the effects of climate change and pollution on our environment more especially the water sources. He shared that corporation has reduced a unit of industrial grade water from about 4000shs to 2500 to boost economic development. Furthermore, the price of a jerrycan of water at public standpipe has been reduced to 25shs and water vendors advised to sell a jerrycan at not more than 50shs only. Under the Service Coverage Acceleration Programme (SCAP100) an initiative of the Government of Uganda through NWSC, the corporation is planning to make over 140,000 new water connections, install over 20,000 public standpipes in communities, extend over 8,000kms of water mains extensions across the country by 2020. NWSC is committed to water for all, for a delighted customer by a delighted workforce.